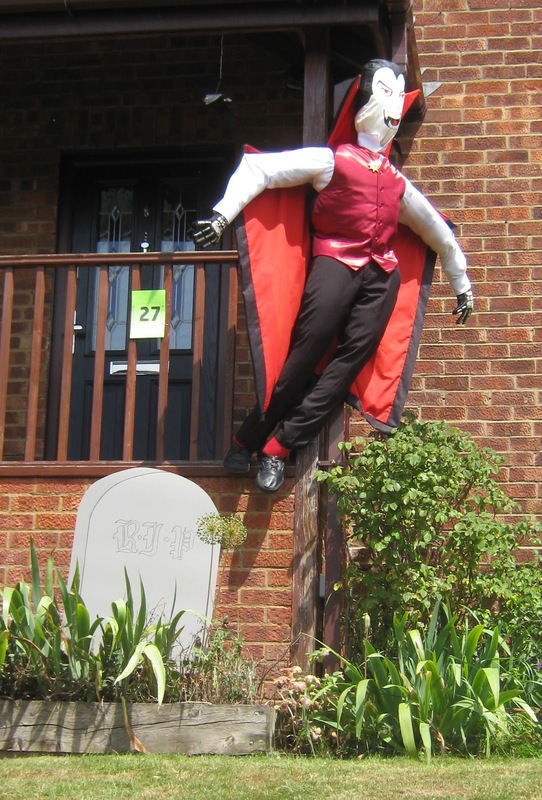 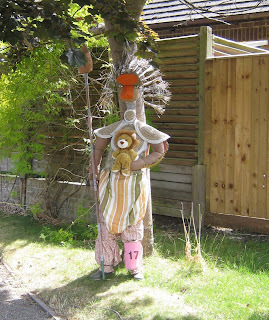 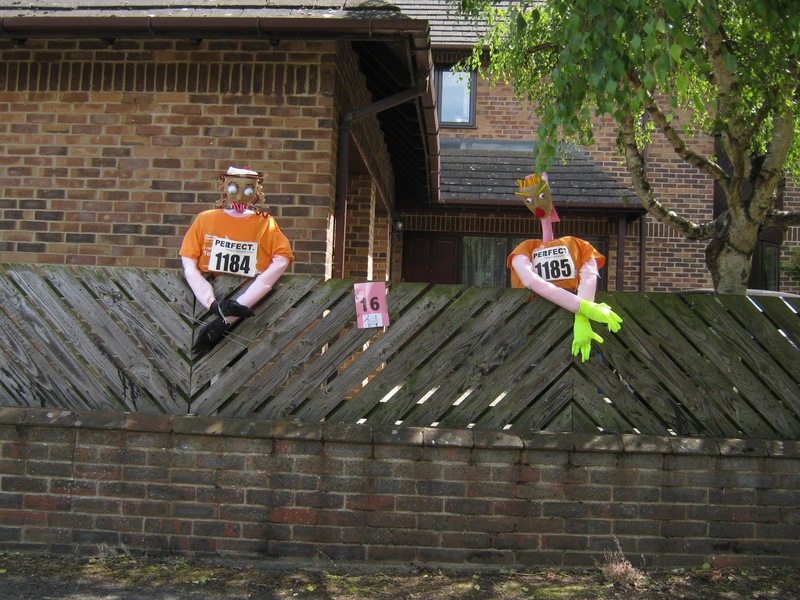 Loughton Scarecrow Trail 2017: Well Done! 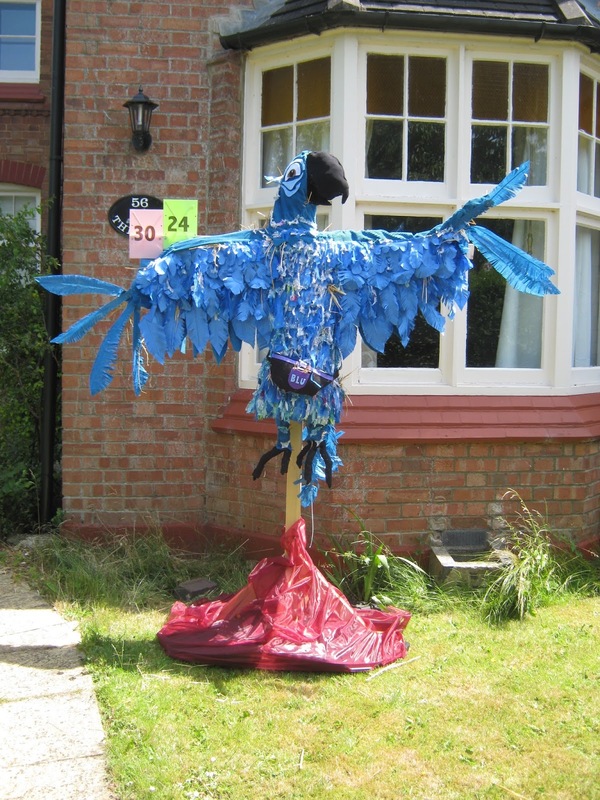 There was a fantastic response to the various competitions this year, and as the judges have reported, all the entries were of an exceptionally high standard. 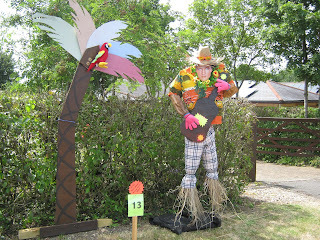 Our judges, Claire Sapsford from MK Arts Centre, Lance Fennell from Westbury Arts Centre, and Jonny Hill from MK Gallery found it exceptionally hard to eliminate any of these scarecrows from their short lists and many of the scarecrows posted below have already been picked as their favourite 'crow' by visitors to the trail. 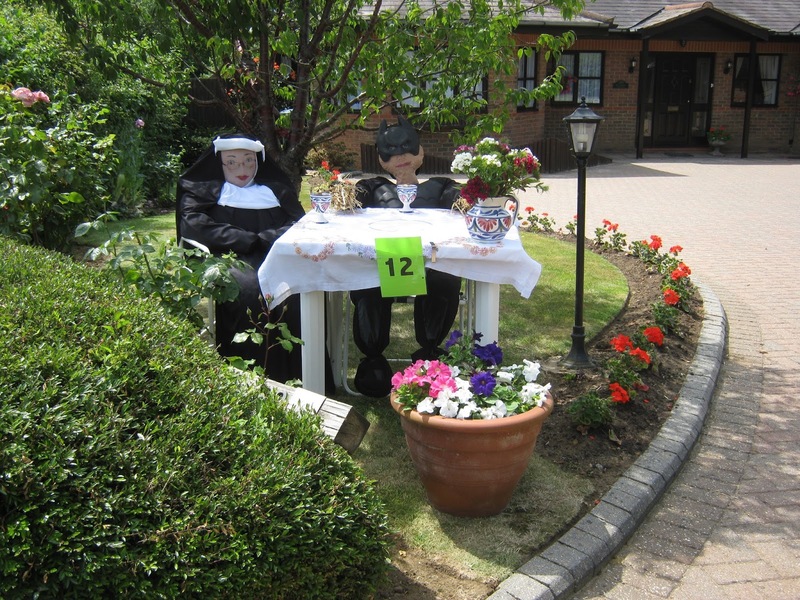 The coveted 'Visitors' Choice' rosette is therefore still something to look forward to. 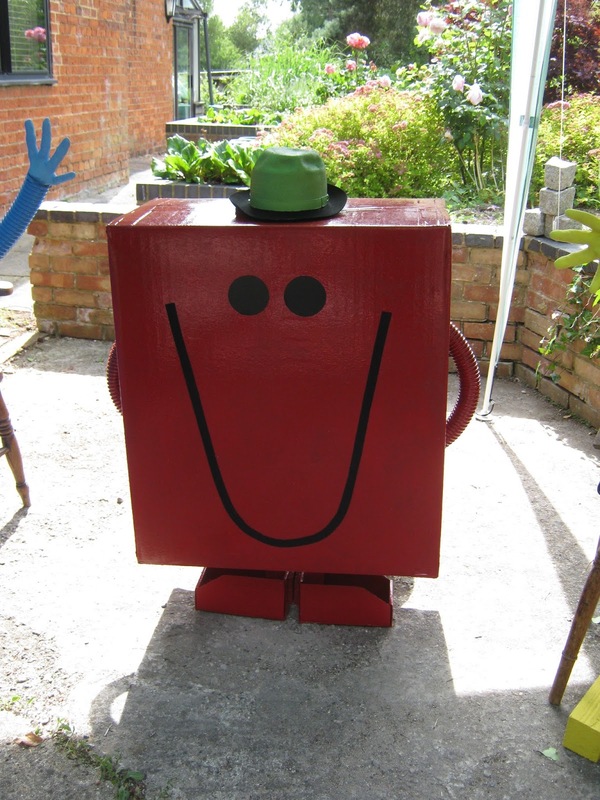 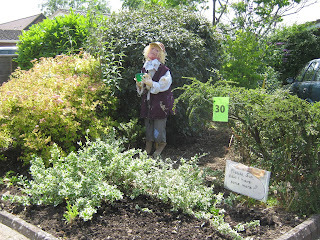 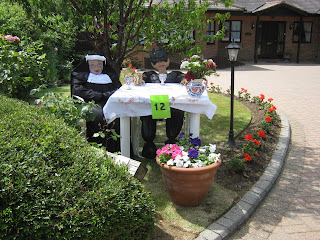 It will be announced at the Scarecrows' supper on Saturday 11th July. Here is our final cast of characters. 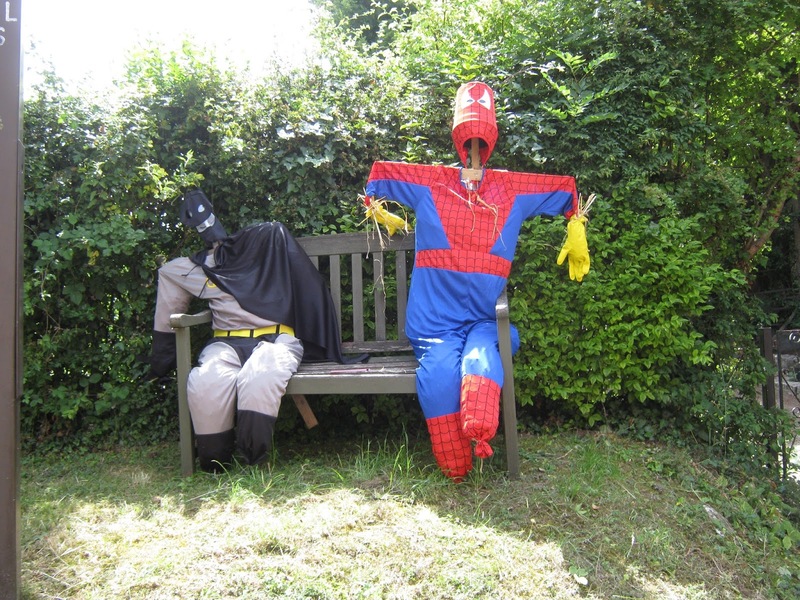 The judges 'loved the idea of Spiderman and Batman chilling out'. 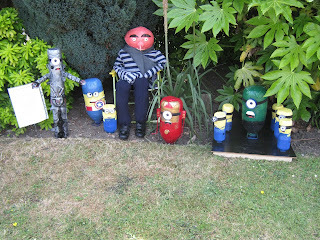 They enjoyed 'the variety in this group of Minions, and the good use of space and scale'. 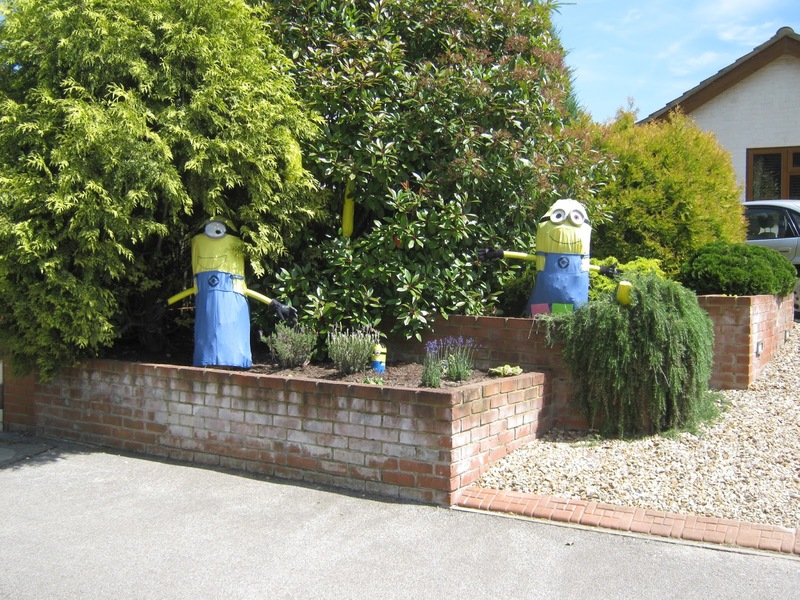 The judges 'liked the eco-friendly and imaginative use of resources' that went into this group of Minions, which are made from recycled bottles. 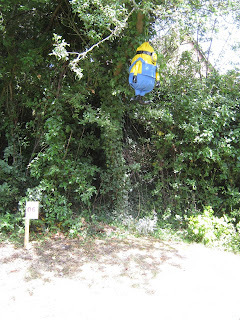 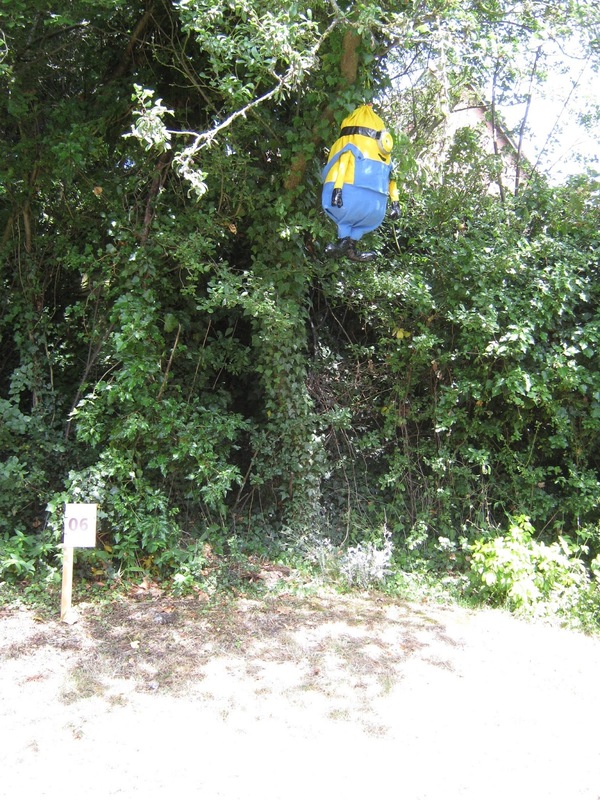 They could not resist a pun with this Minion, who they said was literally 'uplifting'! 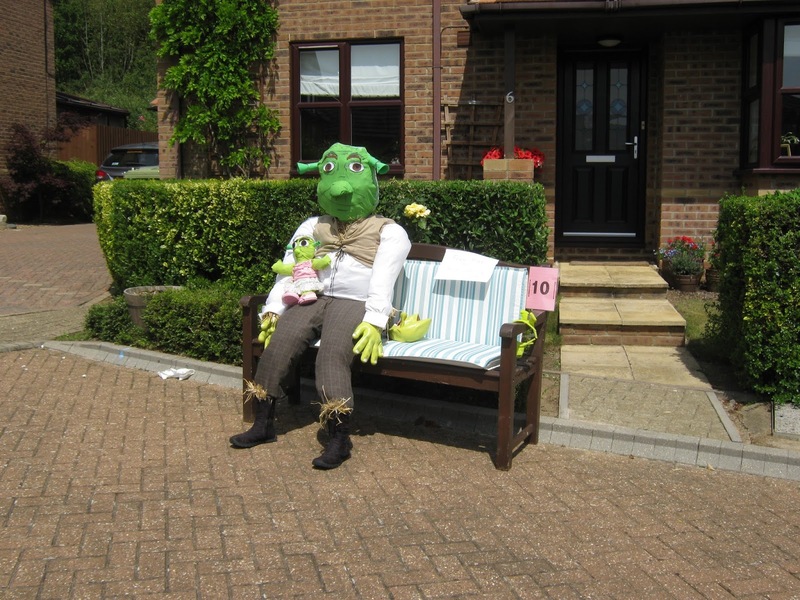 The Shrekcrow's costume design was 'a brilliant interpretation of the character'. 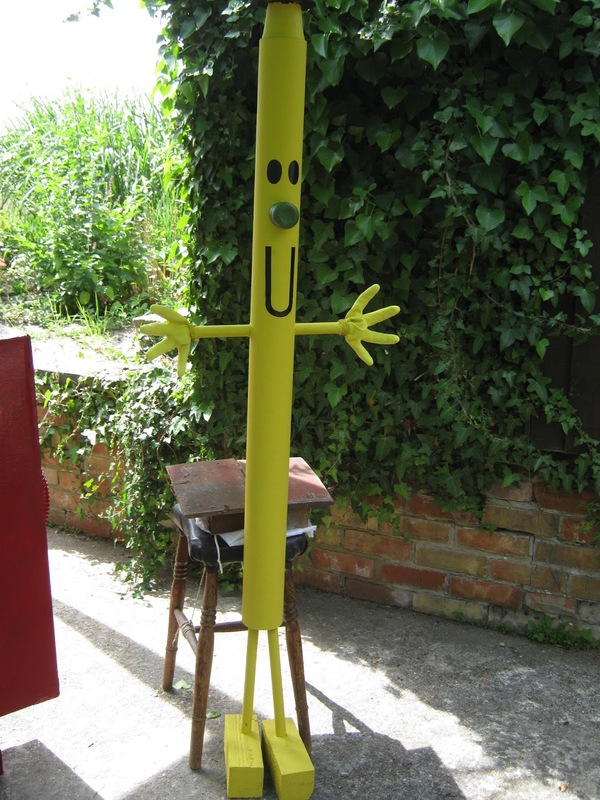 He has proved a firm favourite with visitors. You can even sit with him on his bench, to have your photo taken. while the Lion King was given a 'roar of approval' for his 'sculptural' qualities and his 'good use of resources'. 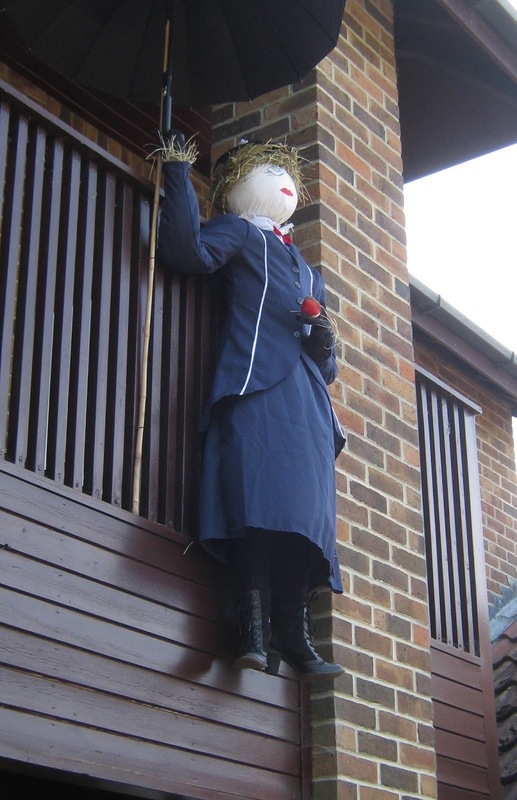 Mary Poppins wowed the judges with her 'great costume' and 'good body shape' Altogether, 'a great interpretation' with 'a lot of detail'. 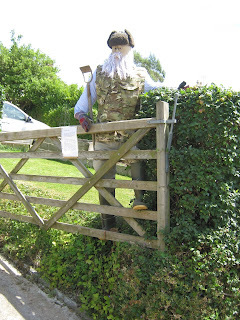 Mr. McGregor was admired for his 'authoritative' stance at the garden gate. Count Dracula 'looked as if he was about to fly away'. 'Great positioning', said the judges! 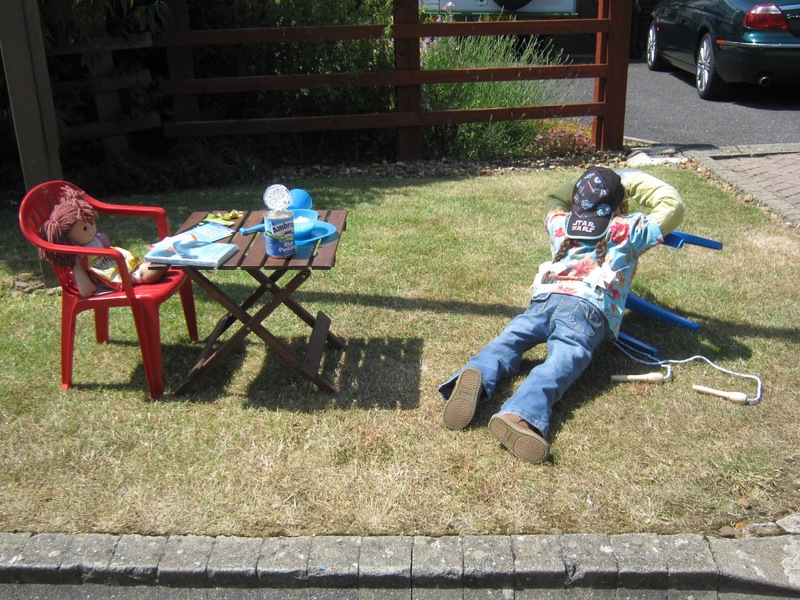 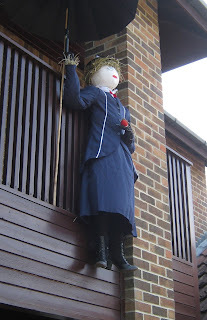 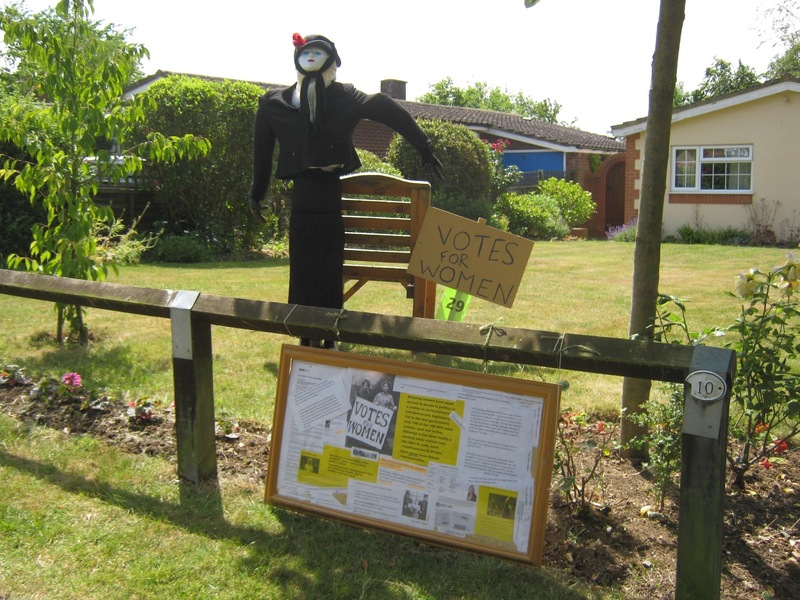 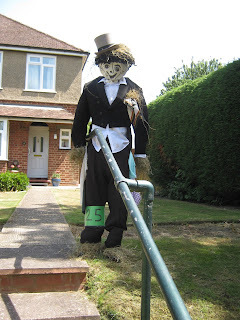 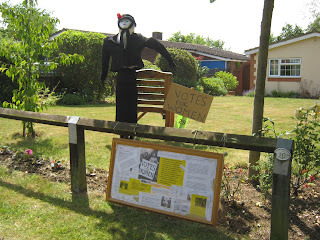 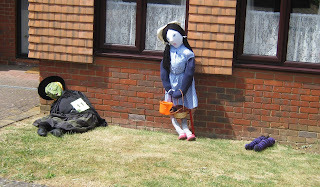 The judges particularly 'enjoyed the feminist references' in this scarecrow, which was made by one of our Parish Councillors. 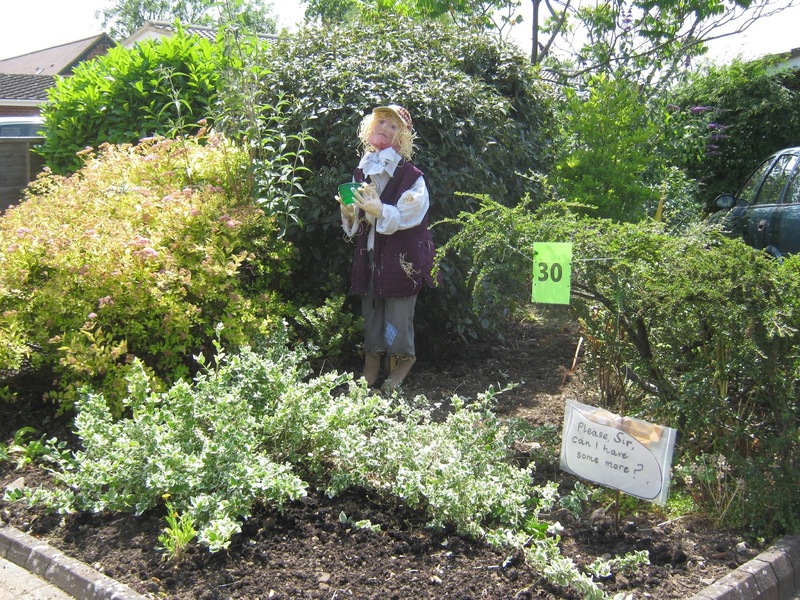 The face of this Oliver Twist was greatly admired as 'lifelike' and there was also 'great attention to detail' in this crow. 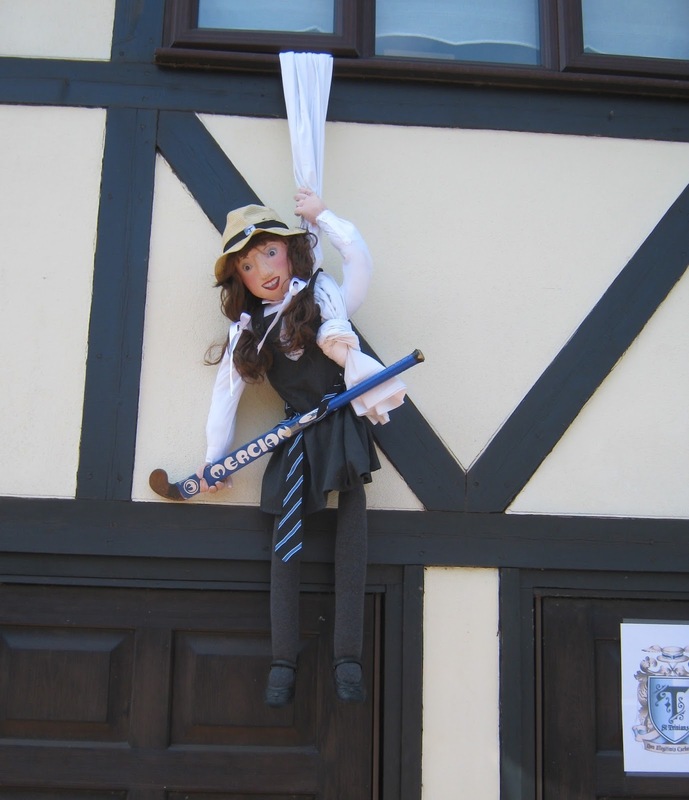 Belle of St. Trinian's was described as 'naughty but nice', and 'What is the Matter with Mary Jane?' 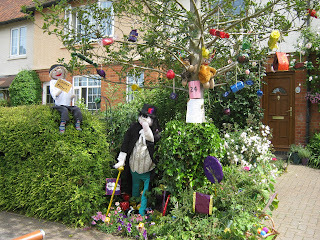 by AA Milne was commended for its 'left field imaginative interpretation of a poem'. 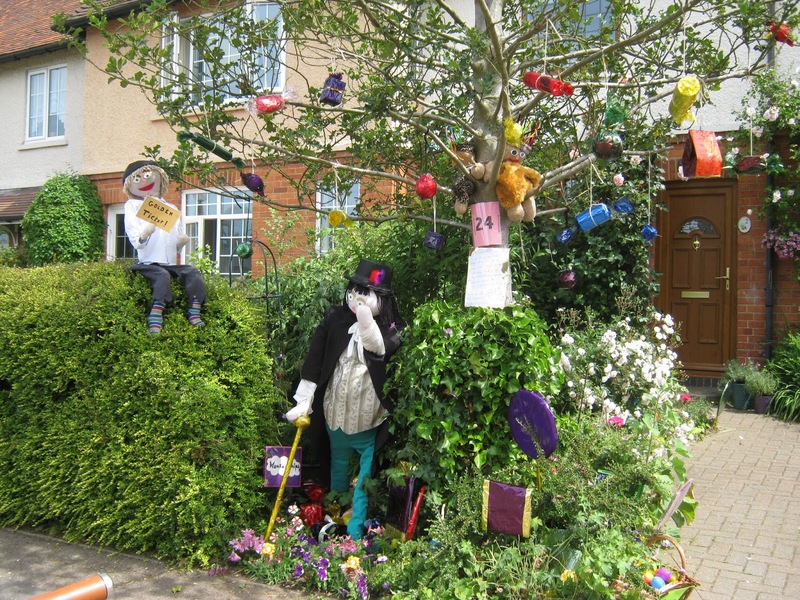 and Willy Wonka's Chocolate Room was agreed to be 'an explosion of detail and colour'. This entry, taking the theme of Follow the Yellow Brick Road, was described as 'sweet', quite a child-friendly contrast to the altogether more realistic and scary entry by Crane Court, and the stockings in yet another interpretation of the theme, that was 'packed with colour and detail' were described as 'a particularly nice touch'. 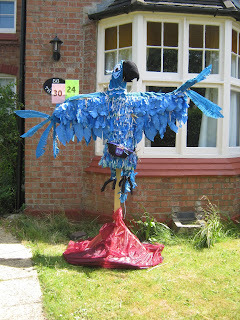 The ScareMacaw was 'very like the bird in the film' so 'a convincing interpretation of the theme. 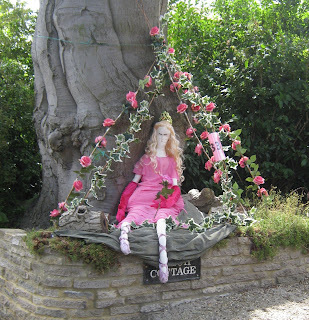 It has proved a firm favourite with visitors. 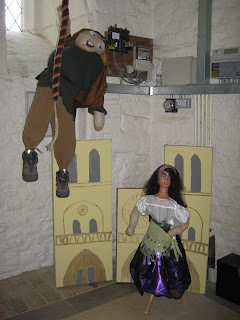 The All Saints Loughton Bellringers came up with another campanological theme, this time based on the Hunchback of Notre Dame. 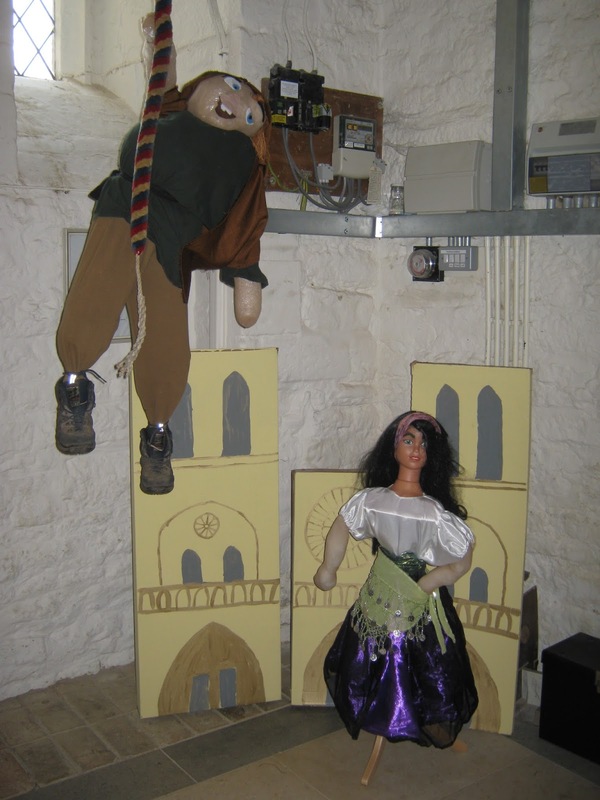 Just about every visitor to the ringing tower has had a chuckle at this crow. The judges admired the 'imaginative collaboration' that went into Batman meets Sister Act, and wondered what the tea time topic of conversation might be. What fun! 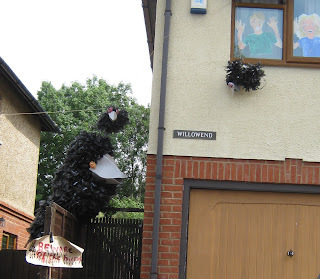 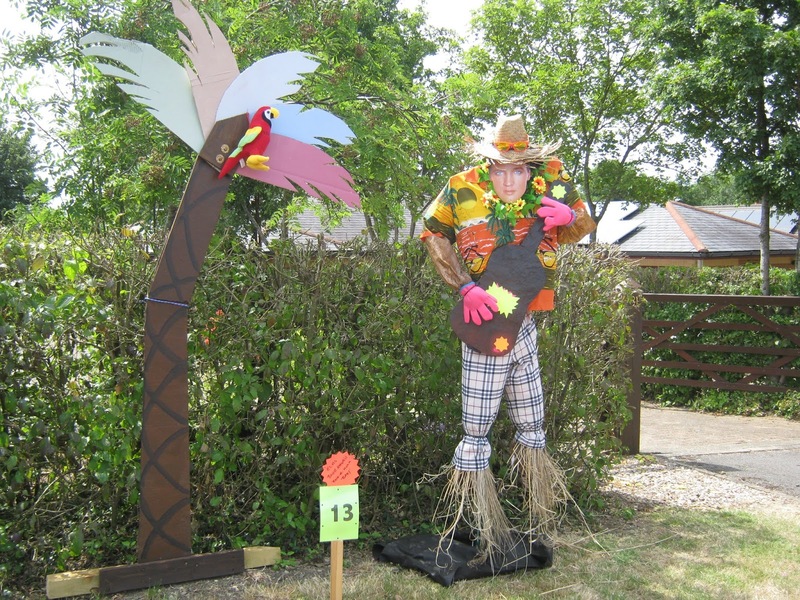 The judges loved The Birds for its wit and creativity.They said, 'it is nice to see an avant garde scarecrow that pushes the boundaries'; that is, 'scarecrow crows', or even 'crows squared!'. 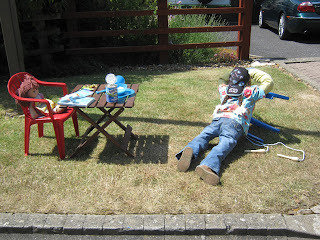 The Silver Surfer 'fits the theme well', as well as displaying great re-use of an ironing board! The Sleeping Beauty was 'very beautiful' and the judges also remarked that 'it was lovely to see the garden incorporated into the setting'. 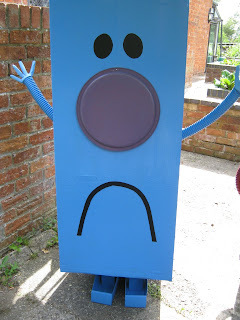 Last, but by no means least, the Mister Men were 'great fun' and 'appealing to everybody' with their distinctive shapes, contrasting expressions and bold, primary colours. 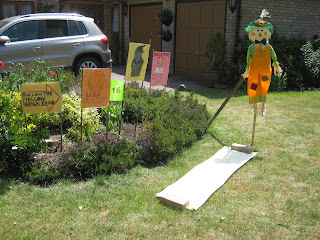 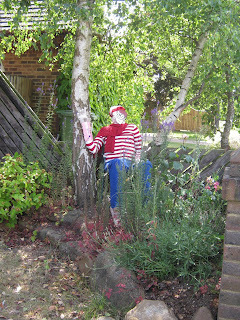 That brings our roll call of scarecrows almost to an end, but one crow missed the judging so we'll feature her tomorrow.